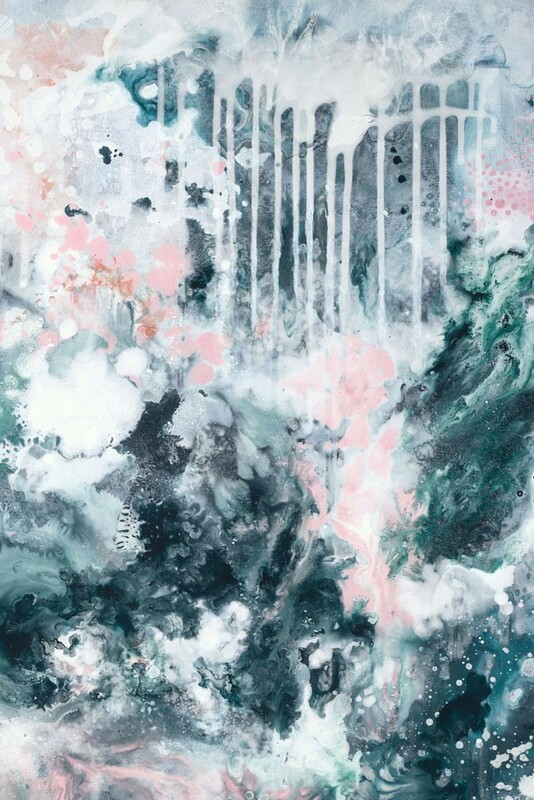 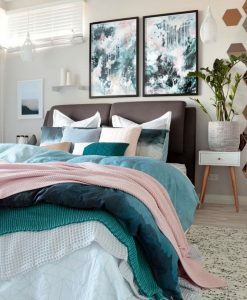 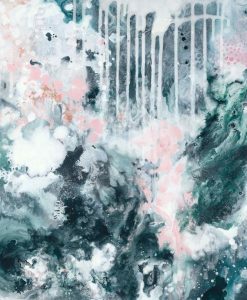 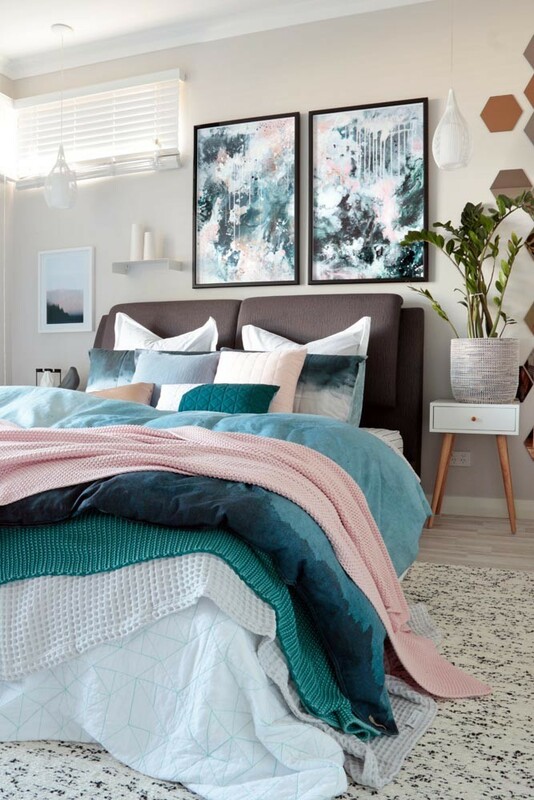 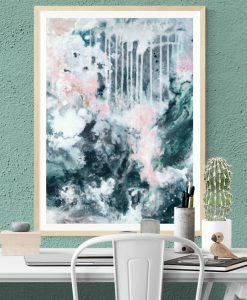 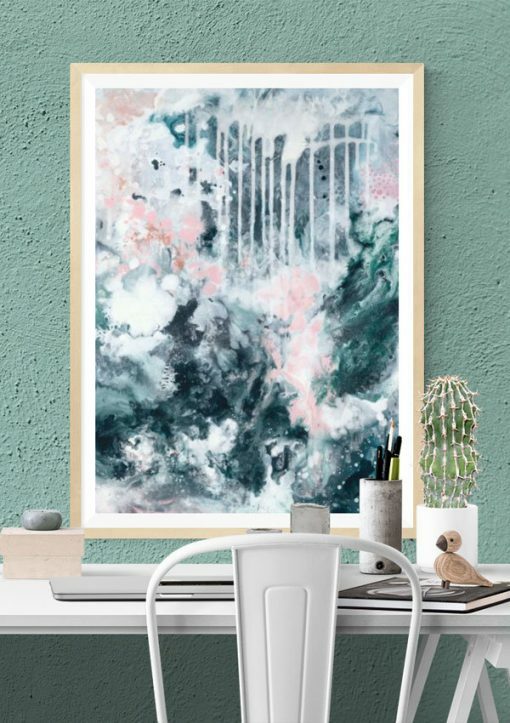 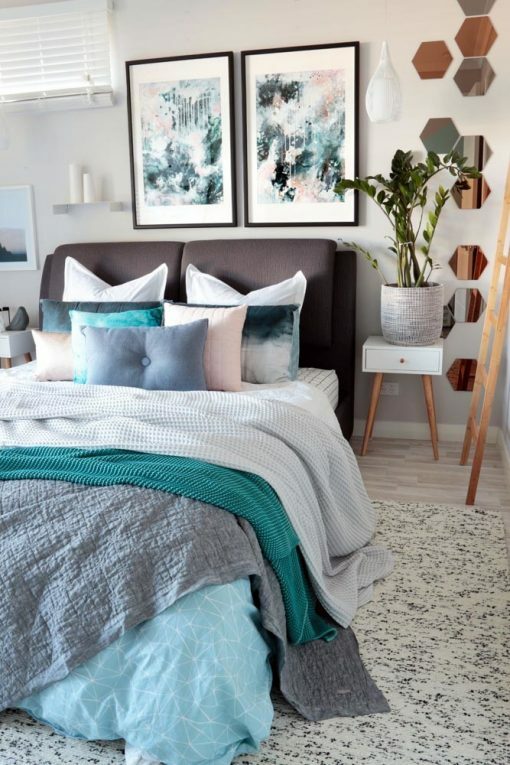 This fine art abstract wall print is in beautiful tones of deep blue-grey, with touches of deep green, copper and blush pink. 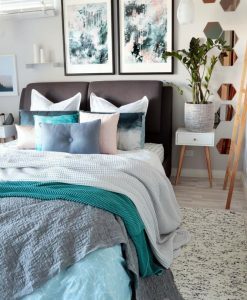 It’s a gorgeous choice for a nordic inspired or scandinavian style living area but will work well in any timeless setting. 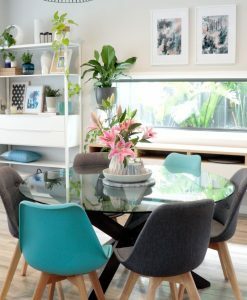 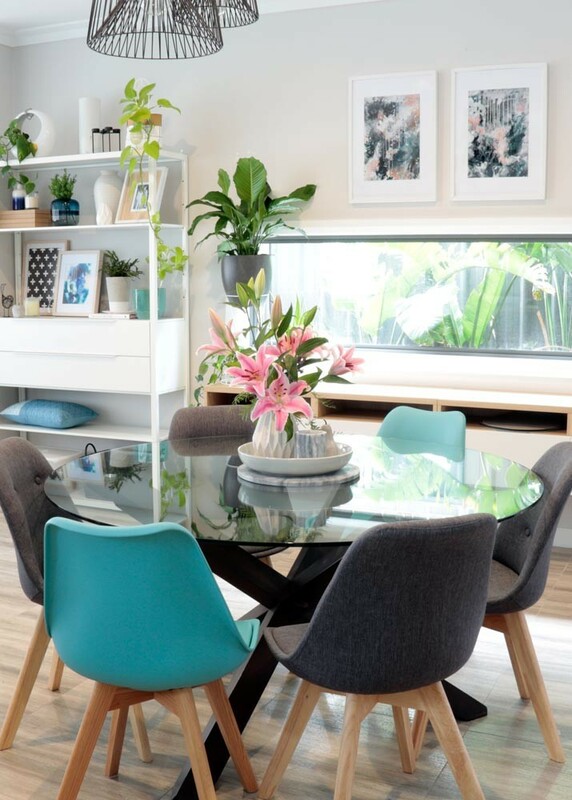 Professionally photographed by fine art printers in Adelaide.